Thunder Basin combines an obstacle course of fun, yet athletically demanding, physical activities with a huge Craggy Climber rock wall structure. It begins with either the Zig Zag Challenge Climber or Tilted Pebble Bridge. 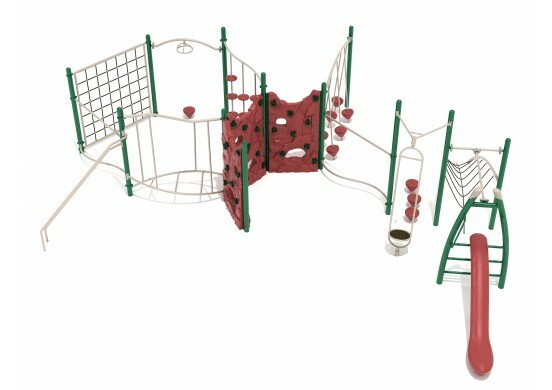 Both activities encourage kids to try to navigate across uneven footing while weaving around vertical bars. Next comes a challenge of upper body strength: the 3-Wheel Overhead Spinner. These metal rings are designed to spin freely when people hang from them, meaning it requires both strength and coordination to swing from one to the next. Then there is a Saddle Slide, which kids can use if they want to take a break, or just try a new style of slide which might be unfamiliar to them. 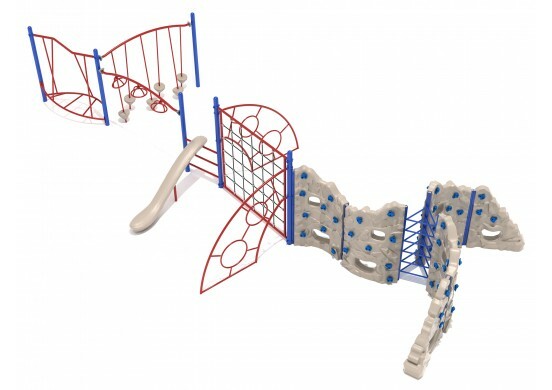 At the end of the obstacle course, there is a large Net Climber, flanked by a pair of arched Sunrise Climber Attachments. 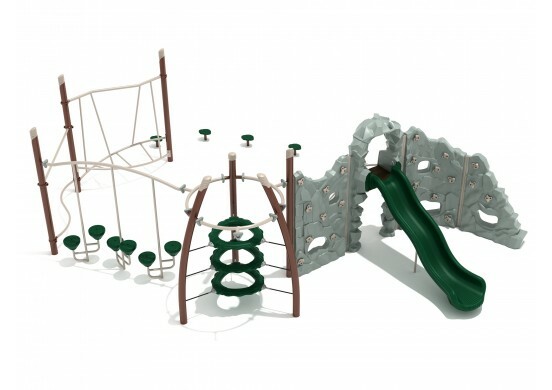 These attachments add support to the structure while providing two additional climbing features with an interesting pattern of rungs. 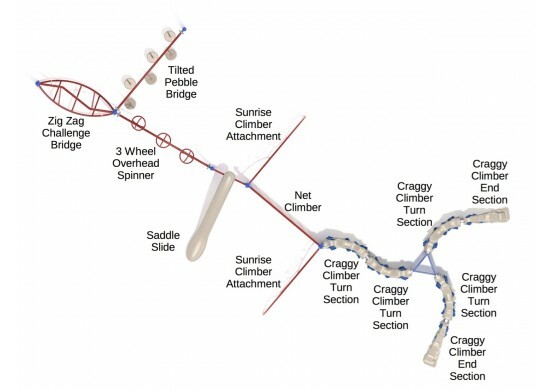 Best of all, Thunder Basin has a whopping six Craggy Climber sections arranged into a 3-legged pattern with a Craggy Tri-Connector in the middle.